Islam is the state religion in Malaysia and 60% of the population is Muslim there. But the freedom of religion is guaranteed by the constitution in Malaysia, and inspired by the inter-religious and inter-cultural activities of True Father, 40 Malaysian members of parliament had participated at the celebration of True Father's 90th birthday in 2010. 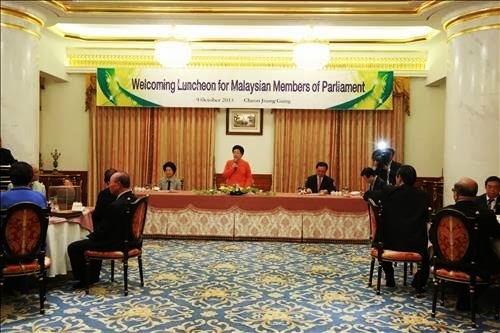 On HC 9.5 (Oct. 9, 2013), True Mother held the luncheon at the Cheon Jeong Gung inviting 22 Malaysian members of parliament, who are from the ruling and opposition parties. Prior to the luncheon, they paid respects to True Father's burial place (Garden of Original Land). They will stay in Korea until Oct 12th participating at events at various locations including the Korean National Assembly. 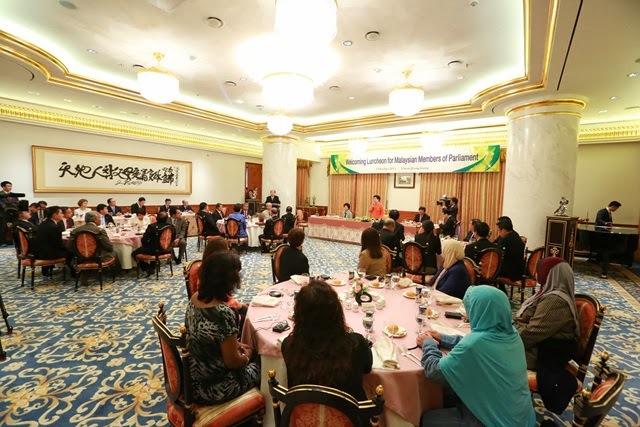 During the luncheon that day, True Mother said, "The peaceful world hasn't been able to be established yet, however, when the unification among individuals expands, the environment for the peaceful world will be made." 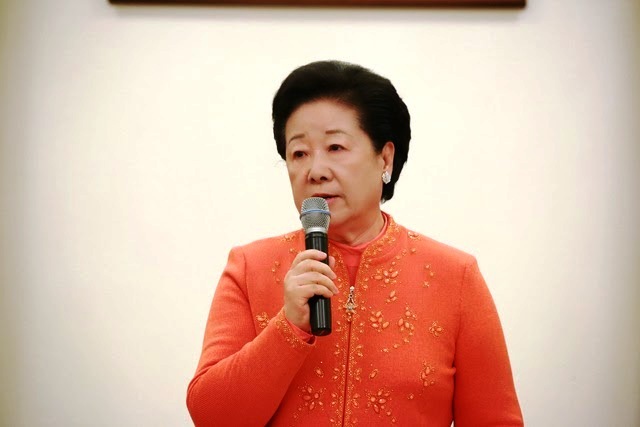 She also said, "I hope you, experiencing God's spirit and understanding the truth, will become the leaders who can lead Asia."